something about han ji min's transformation in miss baek. (i guess another praise). she was compare to other amazing actors, such sol kyung gu, song kang ho, fellow mate park jung min, who dares to transform their usual image for a role. you can see the comparison below, this was translated by google. The actors do not mind transforming for the work. There is a reason why they are not afraid of making an extraordinary turn, such as shaving or controlling weight. Acting power is also important, but external images are also a way of expressing character's character. Park Jung-min of 'Sabaha' and 'Sang-gyung-gu' of 'Idol' recently became a hot topic by discoloring hair. Who is the actor who tried to boldly decolorize for the character? For his role, Sung Kyung-gu, an actor who freely freely increases and decreases his weight, can be regarded as the "master of rubber band weight." This time he tried to decolorize yellow instead of weight change. He felt a sense of identity with his son with a severe handicap and chose to discolor him as a way of expressing his sadness. You can see it in 'Idol' which opens today (20th). Park Jung-min expressed a character named "Jungna Han" in 'Sabahha', giving a feeling of darkness and darkness, colorful costumes and unbalanced hair. Nahan's fall-haired hairstyle and colorful costumes are a kind of camouflage to cover the reality, adding tension to the character's reversal. Han Ji-min, an icon of innocence, became a hot topic in 'Miss Back' (2018). 'Mitsubag' tries to defend himself, and Baek Sang-ah (Han Ji-min), who became a criminal, confronted the world in order to defend a child who lives a life resembling himself. In order to express Baek Sang-ah, he created rough skin, perfect look with short fall-out hair and deep lipstick, and captivated the audience. Song Ga-ho of 'Monster' (2006) that Park Jung-min of 'Sabahha' used as a model of discoloration hairstyle has fallen for the role. Song Kang Ho, who appeared as a drunken figure in a fallen-out hair that was out of fashion for a long time, highlighted the image of the world. Nam Joo Hyuk will like to work with Ji Min again. Source from soompi. 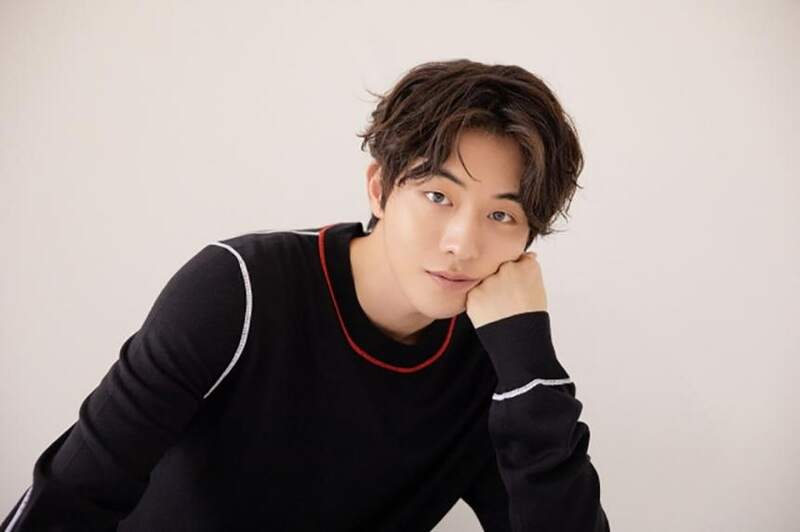 Nam Joo Hyuk shared his thoughts on his drama “Radiant” and co-star Han Ji Min in a recent interview. On March 20, Hankook Ilbo published their interview with the actor a day after the finale of his latest drama. Nam Joo Hyuk then spoke frankly about the public’s reactions towards him. After receiving the Best New Actor award for “The Great Battle” at the 39th Blue Dragon Film Awards, the actor succeeded in gaining attention for his acting. During his appearance on “Radiant,” many viewers and critics positively commented that Nam Joo Hyuk’s attitude and acting skills had changed. HK interview during her visit for Asian Film. She mention for female artiste, she likes Maggie Cheung and Zhang Ziyi, for male artiste she likes Tony Leong. She finds him very attractive in Lust, Caution. Ha! I mentioned before that i hope Ji Min can work together with Gong Yoo for movie similar to "the mood for love" and the stars for the said movie is Maggie Cheung and Tong Leung.